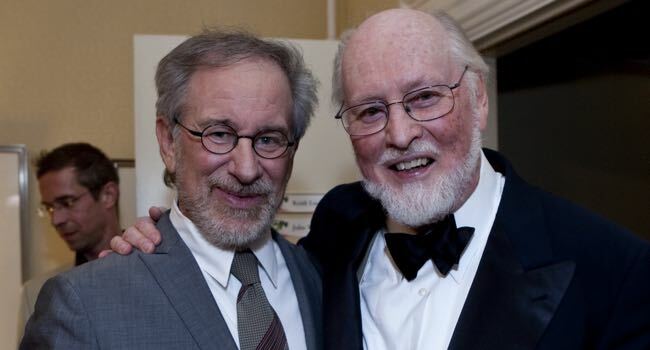 Five-time Oscar-winning composer John Williams, who is 83 today, has written many films for Steven Spielberg movies but he told me he never takes their collaborative closeness for granted. He said, “My hope is I can work with Steven for many years to come. But I never make the assumption that he will not want to have another sound, or another composer to do one of this films and should he wish to do that, it would be something I would salute and honour. I wouldn’t say welcome, but I would certainly honour his wishes and most of all respect them. We spoke for The Hollywood Reporter almost 15 years ago and Williams noted that the two have worked together since 1973 with “Sugarland Express”: “We’ve done I don’t know how many feature films. It’s probably the longest standing collaborative relationship of this kind that I know of in our world. It makes me feel enormously fortunate and lucky because he is a very great man, one of the great filmmakers of the period. Our association has been, for me, an absolutely rewarding, life-enhancing experience. Williams said that Spielberg hasn’t changed over the years: “We’ve really gotten along miraculously well from day one, I must say. He’s a very sympathetic and sensitive and warm person who’s as unspoiled and focused now, almost 30 years later, as he was when he was a youngster, just 23 or 24 years old coming through the studio gate. He’s the same person today; same enthusiasm and the same energy, same straightness and lack of pretension. This entry was posted in Film, Interviews, Music and tagged "Indiana Jones', 'Close Encounters of the Third Kind', 'Jaws', 'Star Wars', 'Sugarland Express', 'Superman', George Lucas, John Williams, London Symphony Orchestra, Steven Spielberg. Bookmark the permalink.